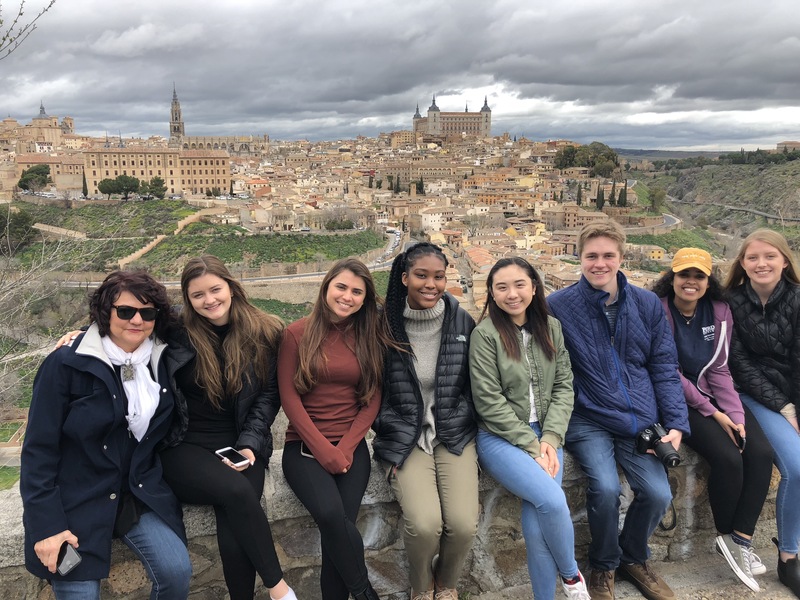 Participants in HHS’ second interdisciplinary study abroad program are visiting Toledo in Central Spain. The Spain program is part of HHS study abroad series of “Cultural Exploration in Health and Human Sciences” and attracted 22 students from five HHS departments and schools (HDFS - Human Development & Family Studies, HTM - Hospitality & Tourism Management, NUTR - Nutrition Sciences, PSY - Psychological Sciences , and SLHS - Speech, Language & Hearing Sciences) and three other colleges. Toledo is a World Heritage Site by UNESCO and known as the "City of the Three Cultures" for the cultural influences of Christians, Muslims and Jews reflected in its history. Group posed for photo on the steps of the former Hospital del Nuncio Nuevo built at the end of the 18th century to house people with mental illness. If you love to travel, meet new people, and see new things, then apply for a Study Abroad program! 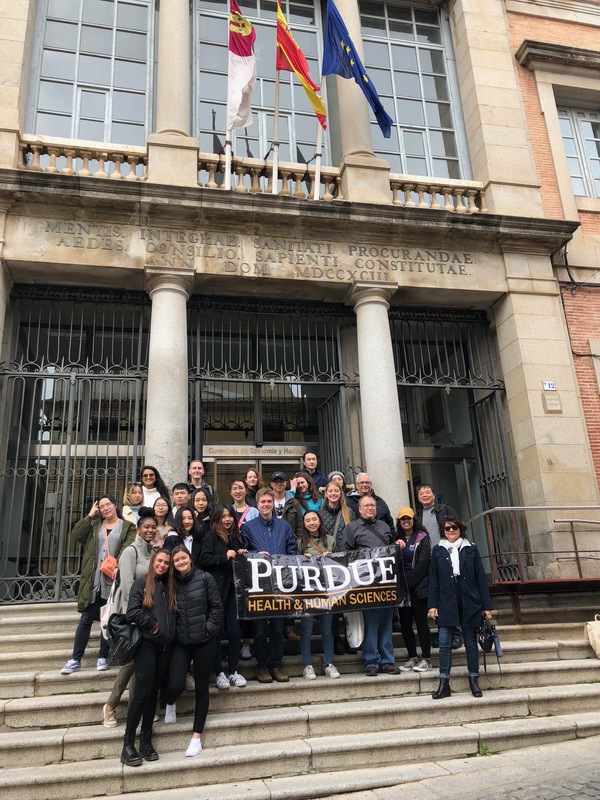 Through HHS Study Abroad, you can experience the excitement of living, studying, and even working in another country while you earn credits toward your Purdue degree. Most study abroad programs have no foreign language requirement. Like our Facebook page to find pictures from past programs, callout dates, and announcements. Several types of programs are available. Programs vary in length, cost, and location. Remember to discuss the options with your Academic Advisor in order to determine which program works for your plan of study. More information can be found on Purdue's Study Abroad website.